This two-story Wooden dollhouse is 100% handmade. 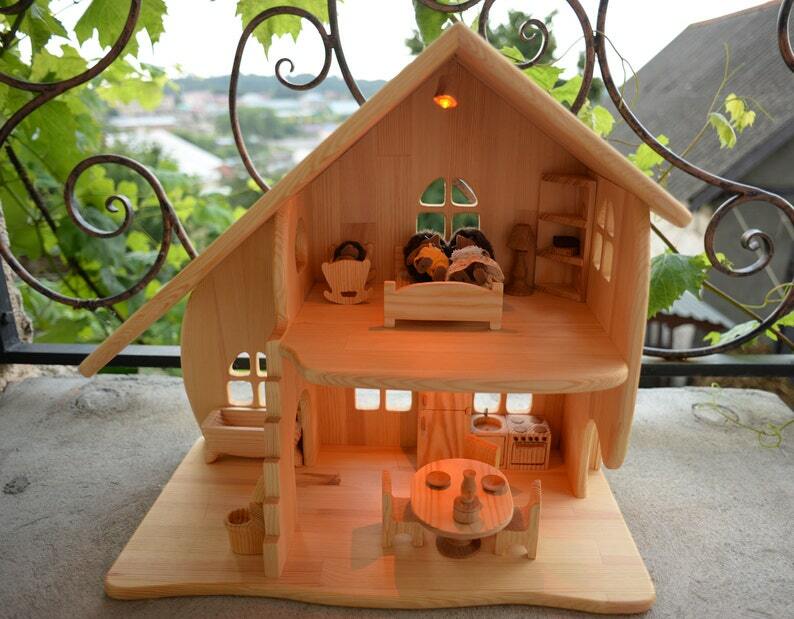 It is a great gift for your child, is eco-Friendly, Unique, hand Crafted, safe for children. House lighted of AA batteries - as it works on 4 diodes lamps, it is not getting hot, safe to touch. Height 50cm/20in, length 50cm/20in, depth 25cm/10in.